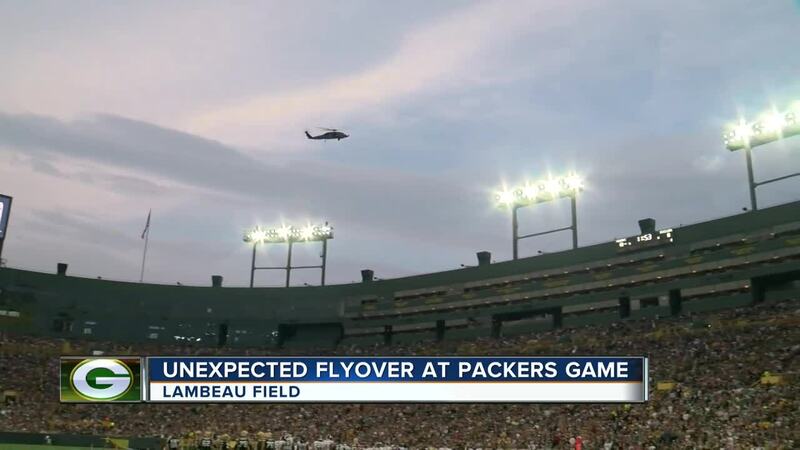 Green Bay Police say they are investigating an unexpected flyover that happened Thursday night at Lambeau Field during the Packers and Steelers preseason game . Two Navy helicopters passed overhead during the game. Police say it was not authorized. 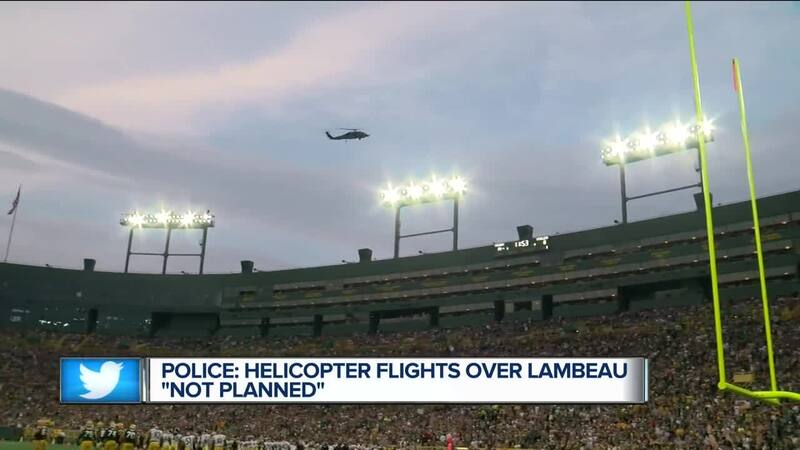 “The helicopter flights over Lambeau Field last night were not a planned component of the game. We are in contact today with the proper authorities to gather more information as to the nature of the flights,” said Aaron Popkey, Director of Public Affairs. The police department says they've contacted federal authorities to figure out why the choppers flew above the stadium.